The web of corruption that was set up to destroy the free market in the transportation sector in Brazil, using the truck drivers’ mobilization in order to force the government of the State of Pernambuco to break the partnership between Jeep and its logistics operator to SADA Transportes, every report is more appalling. José Milton Freitas, a fake stormer who has captained the coup against the drivers along with Heracles Marconi, unmasked for a policial investigation, in 2014, in Operation “Toque de Midas” for drug trafficking , money laundering, interception and other crimes. Also in this scenario are Deputy Pastor(shepperd) Eurico, who, like José Milton Freitas, is from São Paulo and Deputy Gonzaga Patriota, who said in the plenary session of the House “we will wait for SADA to leave there for Betim”, making clear the assault against the company who has been a Jeep logistics partner for years. Is Pernambuco facing a scheme of tips to generate instability in the transportation of vehicles from the Jeep plant, with the sole objective of favoring other transportation companies and guaranteeing those involved in the scheme money to finance the style of life? What is known is that those who had their paths crossed by José Milton de Freitas and Heracles Marconi ended their empty pockets and had destroyed the hope of a better life. Applying this vile coup in a country with the critical situation that Brazil is against good workers is a real cruelty. 1 – José Milton Freitas charged 50.000 (BRL) to the truck drivers, assuring that they would have jobs in the transportation of Jeep vehicles. Using the false statement that had a judicial injunction that guaranteed jobs for drivers. So he recruited the truck drivers to go to the Jeep factory in Goiana, Pernambuco. 2 – It affirmed that the movement had consent of the automaker to get rid of the logistic partner, another great lie! 3 – They cheated even a Jeep employee, convincing him that he would go to a meeting in Caruaru to listen to the drivers. But in fact what Jose Milton Freitas and his ‘partner’ Heracles wanted was only to persuade drivers who were already suspicious, and started to want their money back. 4 – José Milton claimed that 120 trucks would participate in the act, however, managed to deceive only 40 who participated. And they did not get any jobs, they only took losses. 5 – The involved deputies know why, in this scenario, they raged in the Chamber, posed together with the storers and were used as another convincing tool for drivers to believe that there were important people supporting the cause. 6 – When the state court of Pernambuco ruled that the trucks should be removed, Heracles Marconi would remove the mask from the storeroom, and be seen as the lawyer who guaranteed that the drivers should disobey the court order to achieve the objectives. The important detail is that José Milton and Heracles Marconi, the two fakes leaders, did not put any truck in the middle of the mobilization. So they did not have any losses. Only the real truck owners bittered fines of six thousand reais for noncompliance with the judicial order, which came into effect on August 30. 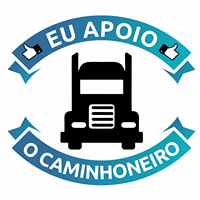 7- The coup leaders José Milton Freitas, Heracles Marconi and other members of the scheme deceived the truck drivers once again saying that the fault of not getting the vacancies would be the Jeep, the SADA and even the State Government. However, the truth is that the vacancies did not exist. But by now all the scammers were already in their pockets. Not only for the money taken from the drivers, but for the resources coming from companies that want to force the departure of Jeep’s logistics partner from Pernambuco. Why did no one take such denunciations forward? Why did not you take satisfaction? The answer is simple: FEAR. It is a very well-founded fear, unlike the false dossiers that circulate in the hands of members of the scheme. The truck drivers who dared to ask for explanations or tried to recover the values ​​given to the coupists began to be harassed and intimidated, even by relatives of the coup-makers, José Milton Freitas and Heracles Marconi. Among the repressors there are people not only from Pernambuco, but also from other states. Inclusive of São Bernardo do Campo, who are allied with lawyer Heracles Marconi de Petrolina. It is important to remember that Operation Touch of Midas who unmasked Heracles Marconi, the lawyer and false storer arrested 14 people in Petrolina. Of the various crimes practiced by the gang with which Heracles was involved, in addition to the drug traffic between São Paulo and Pernambuco, estelionato was also one of the crimes practiced. Like José Milton Freitas, who does not own any companies, who are in default, he lives in a comfortable apartment in the capital of Caruaru and owns a car of expressive value, for those who do not have any job? Who is funding these scammers and false leaders? Who profits from this scheme that upsets the transport sector in Pernambuco? Why do politicians go hand in hand and stand up in defense with the teeth and nails of those involved in this scheme? Will it take a new Police Operation to finish unmasking all this banditry?